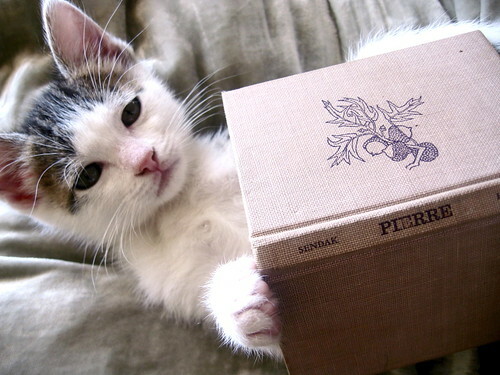 Former foster kitten Pierre, reads "Pierre". RIP where the wild things are. So touching! Little Pierre looks soooo sleepy sad, doesn't he? I felt so awful when I heard; yet, how can you not celebrate that life.